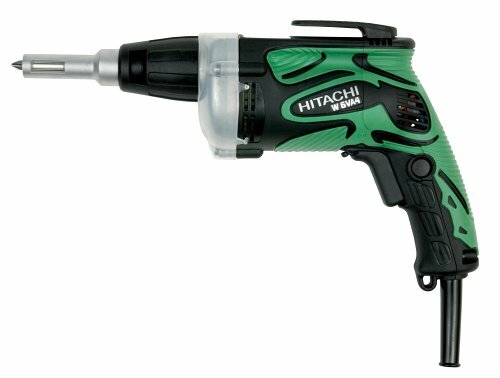 The Hitachi W6VB3 is engineered to offer the ultimate in both power and comfort and offer the optimal balance of torque and speed to master repetitive use for the specific fastening application. I needed to build a wall in the basement so I bought this screw gun after some research. It made hanging drywall almost too easy. 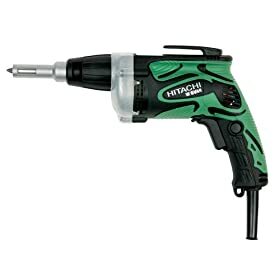 I have since found many use of it around the house, replacing my electric screw driver. It is especially handy when working in tandem with my Skil drill (for pilot holes). This screw gun has a quality feel. It looks good, is light weight, and has plenty of torque. Great details include a long cord, a belt hook, and clear plastic cover on the aluminum gear case. The only drawback so far is that the clutch does not disengage fast enough unless the nose is held perfectly perpendicular to the wall surface, causing the bit to strip and make a loud noise. No big deal as the bit is kind of disposable item.